At MustReadSummaries.com, we are dedicated to bringing you essential information in the least amount of time. Our summaries of bestselling nonfiction books provide you with the key facts that you need to expand your knowledge on a subject. 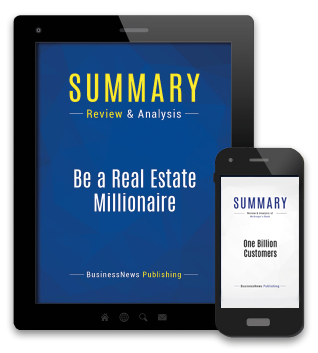 By focusing on what you really need to know, our summaries maximize knowledge retention and provide detailed information quickly. Thanks to our tried and tested format, you can learn all about bestselling business books in under 30 minutes. Let MustReadSummaries.com save you time and expand your knowledge with our high-quality summaries, all of which have been carefully researched and written by experts. So you’re now ready to feed your curiosity and boost your knowledge. meaning you can start learning in just a few clicks. Eager to learn more about what exactly it is that you’ll be receiving? We’ve got you covered. Once you choose to download a summary, it’s yours to keep and use as and when you like. All our summaries come in PDF format, so you can access them even when you’re offline. You can print all our summaries to add as many notes and annotations as you want. Our summaries are compatible with all devices, from computers to tablets to mobile phones. Still got questions about how it all works? Head over to our FAQ page.